For war veterans suffering from posttraumatic stress disorder (PTSD), navigating through life after returning home from active combat can be a difficult and challenging process. PTSD can manifest itself in any number of ways: disturbing flashbacks, feeling on edge and difficulty sleeping are all common symptoms of this invisible disorder. Now, a recent study has highlighted an effective tool in the fight to improve the lives of military members and veterans suffering from this disease, and it might come as a surprise to many. Because this complementary treatment has four legs and a waggy tail. The study, titled ‘Preliminary efficacy of service dogs as a complementary treatment for posttraumatic stress disorder in military members and veterans’ was published in the February issue of the Journal of Consulting and Clinical Psychology. The researchers, based at the Purdue University College of Veterinary Medicine, found that symptoms of post-traumatic stress disorder (PTSD) were reduced in war veterans who had a service dog. 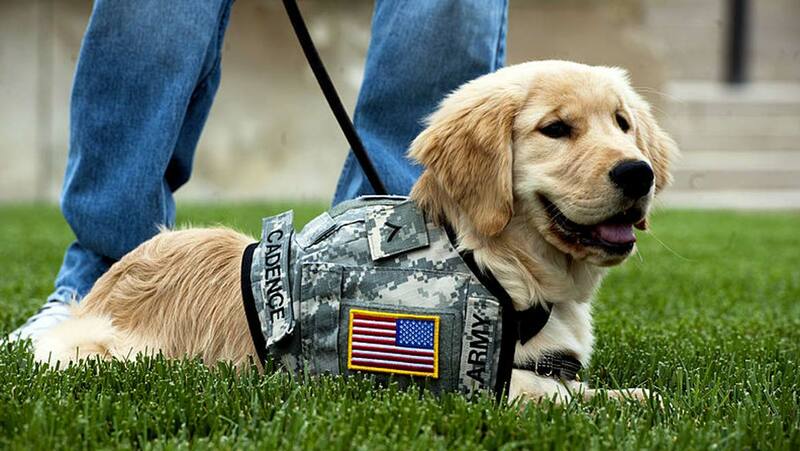 The study involved 141 individuals, half of whom had already been paired with a service dog through the program K9s for Warriors, and the other half being on the waiting list. PTSD measurements included quality of life, ability to function socially and at work, and depression. Participants with a service dog showed signs of better mental health and well-being on a variety of measures, including lower levels of both PTSD and depression, higher levels of life satisfaction, better social interactions and psychological well-being, and less absenteeism from work due to health issues. The study was co-funded by the Human Animal Bond Research Institute (HABRI) and Bayer Animal Health. Whilst both O’Haire and Rodriguez are keen to point out that service dogs can’t cure PTSD, nor should they be considered a complete replacement for other treatments, they can certainly help lower symptoms of PTSD. And that can be invaluable. The next stage for this research is to carry out a long-term study into the impacts of service dogs on veterans with PTSD. This will be funded by the National Institutes of Health.